Amidst a rising, churning sea of gadget blogs, device reviews, and un-boxing videos, Long Now board member Kevin Kelly’s new book takes a step back from the latest release. 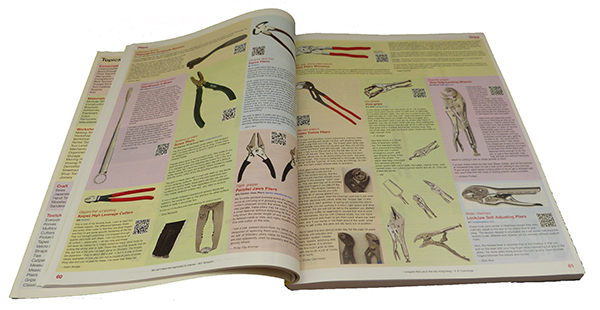 Cool Tools: A Catalog of Possibilities is actually a group effort – or “crowdsourced” as the (waning?) buzzword would have it – pulled together from 10 years’ worth of exclusively positive reviews on the Cool Tools blog for uniquely useful objects. It lists and describes tried and true tools for making things like a house, yourself, or the world you want to see. With the right tool you can invent new things.